Successful fund-raising requires, more than anything else, your deep passion for the project you are raising funds for. Ranger Dave’s Colorado Trail Fund-Raising Backpack for Nature Education was a creative way I raised money ($75,000+) that combined my passion for getting kids outside and my love of being in wild Nature myself! Raising revenue for a not-for-profit is not easy during the best of economic times. During tough times, like what we’ve been seeing during the last several years, fund-raising requires lots of creativity. A few years ago, I came up with a revenue-raising plan that combined my love of backpacking with my organization’s need for revenue to support its Nature education programs. Since I am in Colorado, what better place to do the hike than the Colorado Trail! I got the word out on the Fund-Raising Backpack, took pledges (ranging from a penny per mile to $20/mile), and then backpacked the 486-mile trail that goes from Denver to Durango (a city in the southwest corner of Colorado). Not able to carve out a long stretch of time to through-hike the Colorado Trail in one shot, I did it in several three- to five-day backpacks. I hiked over mountain ranges, through wilderness areas, I saw so much amazing scenery, I arranged some excellent media coverage, and I wrote some articles along the trail for the local newspaper. When the trail was complete, I developed a presentation on the adventure that combines photos and stories from the trail with live music that I perform. 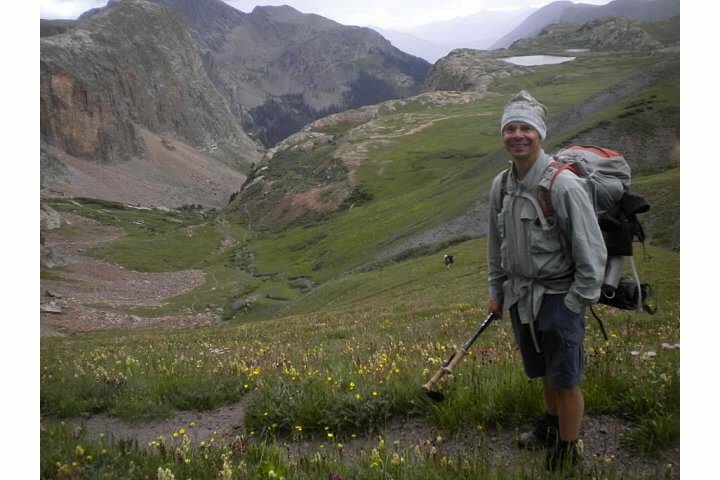 In 2014, when I learned that an additional 80 miles, known as Collegiate West, was added to the Colorado Trail, I backpacked those new miles as another fund-raising hike for Nature education. To date, through the trail pledges and presentations, I have raised over $75,000, all if it going to help get young people out in Nature. And the effort is still raising funds, as I continue to schedule presentations of my adventures. Does this spark a creative idea or two that you may have for raising revenue for your project? Let’s talk. I can help you make it a fund-raising effort for your organization or project. Another option: Schedule my Colorado Trail presentation in your community as a fund-raiser for your Nature-based project. Contact me. Let’s make your fund-raisier happen.